Fyodor Dostoevsky – Russian novelist, short story writer, essayist, journalist, and philosopher. 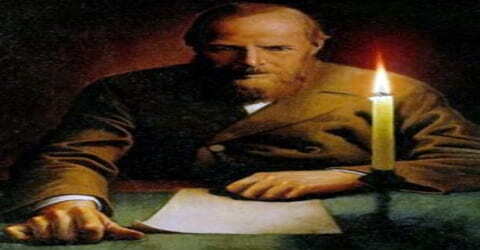 The Russian novelist Fyodor Dostoevsky was born on November 11, 1821, in Moscow, Russia. His literary works explore human psychology in the troubled political, social, and spiritual atmospheres of 19th-century Russia, and engage with a variety of philosophical and religious themes. His most acclaimed works include Crime and Punishment (1866), The Idiot (1869), Demons (1872) and The Brothers Karamazov (1880). Dostoevsky’s oeuvre consists of 11 novels, three novellas, 17 short stories, and numerous other works. Many literary critics rate him as one of the greatest psychologists in world literature. His 1864 novella Notes from Underground is considered to be one of the first works of existentialist literature. Dostoevsky was exposed to literature from an early age and had already published a novel by the time he was 25 years of age. A brilliant young man, he also boasted of a great academic record, graduating at the third position from engineering college. Russia was going through a politically turbulent period and Dostoevsky, along with his brothers was forced to join military services which he absolutely loathed. His youth was ridden with strife and he was once arrested for his involvement in revolutionary activities and sentenced to death, only to be pardoned at the last minute. After graduating, he worked as an engineer and briefly enjoyed a lavish lifestyle, translating books to earn extra money. In the mid-1840s he wrote his first novel, Poor Folk, which gained him entry into St. Petersburg’s literary circles. Arrested in 1849 for belonging to a literary group that discussed banned books critical of Tsarist Russia, he was sentenced to death but the sentence was commuted at the last moment. He spent four years in a Siberian prison camp, followed by six years of compulsory military service in exile. In the following years, Dostoevsky worked as a journalist, publishing and editing several magazines of his own and later A Writer’s Diary, a collection of his writings. He began to travel around western Europe and developed a gambling addiction, which led to financial hardship. For a time, he had to beg for money, but he eventually became one of the most widely read and highly regarded Russian writers. He is best known for writing novels that had a great understanding of psychology (the study of how the human mind works), especially the psychology of people who, losing their reason, would become insane or commit murder. Dostoevsky was of delicate health and suffered from epileptic seizures. However, his health problems could not keep him away from writing and he went on to produce classics like ‘Crime and Punishment’ and ‘The Brothers Karamazov’. In spite of his successes with his books, his life was marked by periods of financial crises and illnesses. He overcame the many obstacles life threw at him to become one of the most widely read Russian writers of all time. He was influenced by a wide variety of philosophers and authors including Pushkin, Gogol, Augustine, Shakespeare, Dickens, Balzac, Lermontov, Hugo, Poe, Plato, Cervantes, Herzen, Kant, Belinsky, Hegel, Schiller, Solovyov, Bakunin, Sand, Hoffmann, and Mickiewicz. His writings were widely read both within and beyond his native Russia and influenced an equally great number of later writers including Russians like Aleksandr Solzhenitsyn and Anton Chekhov as well as philosophers such as Friedrich Nietzsche and Jean-Paul Sartre. His books have been translated into more than 170 languages. Fyodor Dostoyevsky, in full Fyodor Mikhaylovich Dostoyevsky, Dostoyevsky also spelled Dostoevsky, was born in Moscow, Russia, on November 11, 1821. He was the second child of Dr. Mikhail Dostoevsky and Maria Dostoevskaya (born Nechayeva). He was raised in the family home in the grounds of the Mariinsky Hospital for the Poor, which was in a lower class district on the edges of Moscow. Dostoevsky encountered the patients, who were at the lower end of the Russian social scale when playing in the hospital gardens. 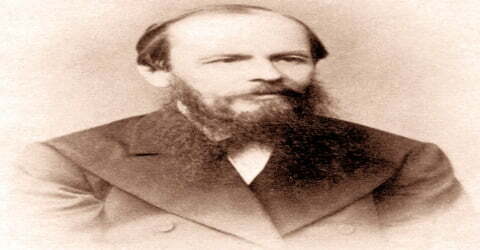 Dostoevsky’s parents subsequently had six more children: Varvara (1822–1892), Andrei (1825–1897), Lyubov (born and died 1829), Vera (1829–1896), Nikolai (1831–1883) and Aleksandra (1835–1889). His nanny Alena and his mother used to tell him many stories, sagas, and fairytales which kindled his rich imagination. He became aware of the works of various illustrious authors like Karamzin, Pushkin, Schiller, and Walter Scott. His family was very religious, and Dostoevsky was deeply religious all his life. He began reading widely when he was a youth. He was first educated by his mother, father, and tutors, but at thirteen years old he was sent to a private school. Two years later his mother died. His father, a cruel man, was murdered in 1839, when Dostoevsky was eighteen and attending school in St. Petersburg, Russia. Dostoevsky was trained to be a military engineer, but he disliked school and loved literature. When he finished school, he turned from the career he was trained for and devoted himself to writing. His earliest letters show him to be a young man of passion and energy, as well as somewhat mentally unstable. Dostoevsky married a widow, Maria Dmitrievna Isaeva in 1857. The marriage was a complicated affair due to the complex nature of both the individuals involved. Even though the marriage was not happy, they loved each other too much to part ways. In 1864 his wife Maria died. Describing their relationship, Dostoevsky wrote: “Because of her strange, suspicious and fantastic character, we were definitely not happy together, but we could not stop loving each other; and the more unhappy we were, the more attached to each other we became”. After the death of his first wife, on 15 February 1867 Dostoevsky married Anna Grigoryevna Snitkina in Trinity Cathedral, Saint Petersburg. On 14 April 1867, they began a delayed honeymoon in Germany with the money gained from the sale. They stayed in Berlin and visited the Gemäldegalerie Alte Meister in Dresden, where he sought inspiration for his writing. They continued their trip through Germany, visiting Frankfurt, Darmstadt, Heidelberg, and Karlsruhe. They spent five weeks in Baden-Baden, where Dostoevsky had a quarrel with Turgenev and again lost much money at the roulette table. The couple traveled on to Geneva. In addition to his wives, he had been romantically involved with several other women as well. 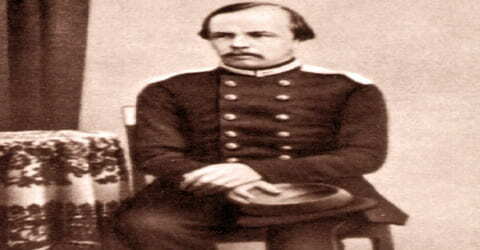 On 12 August 1843 Dostoevsky took a job as a lieutenant engineer and lived with Adolph Totleben in an apartment owned by Dr. Rizenkampf, a friend of Mikhail. Rizenkampf characterized him as “no less good-natured and no less courteous than his brother, but when not in a good mood he often looked at everything through dark glasses, became vexed, forgot good manners, and sometimes was carried away to the point of abusiveness and loss of self-awareness”. His first completed literary work, a translation of Honoré de Balzac’s novel Eugénie Grandet, was published in June and July 1843 in the 6th and 7th volume of the journal Repertoire and Pantheon, followed by several other translations. None were successful, and his financial difficulties led him to write a novel. In 1845 he finished his first novel, Poor Folk, a social tale about a down-and-out government worker. The novel was praised by a respected critic. Dostoevsky’s second novel, The Double (1846), was received less warmly; his later works in the 1840s were received coldly. The Double, however, has come to be known as his best early work, and in many ways, it was ahead of its time. Around the same time, Dostoevsky discovered socialism through the writings of French thinkers Fourier, Cabet, Proudhon, and Saint-Simon. From 1846 to 1848 he released several short stories in the magazine Annals of the Fatherland, including “Mr. Prokharchin”, “The Landlady”, “A Weak Heart”, and “White Nights”. These stories were unsuccessful, leaving Dostoevsky once more in financial trouble, so he joined the utopian socialist Betekov circle, a tightly knit community which helped him to survive. When the circle dissolved, Dostoevsky befriended Apollon Maykov and his brother Valerian. He resigned from his military career in order to focus on his literary pursuits. His second novel, ‘The Double’ was also out in 1846. However, it did not do well and the failure of this novel affected his health. The lack of success of The Double troubled Dostoevsky. From 1846 to 1849 his life and work were characterized by aimlessness and confusion. The short stories and novels he wrote during this period are for the most part experiments in different forms and different subject matters. 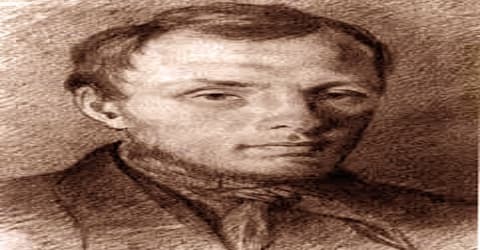 In 1846, on the recommendation of the poet Aleksey Pleshcheyev, he joined the Petrashevsky Circle, founded by Mikhail Petrashevsky, who had proposed social reforms in Russia. Mikhail Bakunin once wrote to Alexander Herzen that the group was “the most innocent and harmless company” and its members were “systematic opponents of all revolutionary goals and means”. Dostoevsky used the circle’s library on Saturdays and Sundays and occasionally participated in their discussions on freedom from censorship and the abolition of serfdom. On April 23, 1849, he and the other members of the Petrashevsky Circle were arrested. Dostoyevsky spent eight months in prison until, on December 22, the prisoners were led without warning to the Semyonovsky Square. There a sentence of death by firing squad was pronounced, last rites were offered, and three prisoners were led out to be shot first. However, at the last moment, Dostoevsky’s sentence was changed to four years in exile in Siberia. Dostoevsky was released in 1854 and wrote about his experiences in the prison camp in his novel ‘The House of the Dead’ in 1861. He described the details and living conditions of the camps very vividly. By and large, his writings during this period showed no great artistic advance over his early work and gave no hint of the greatness that came forth in 1864 with his Notes from the Underground. It is considered by many literary critics as the first existential novel. 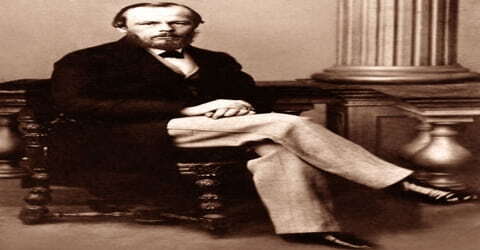 “A Little Hero” (Dostoevsky’s only work completed in prison) appeared in a journal, but “Uncle’s Dream” and “The Village of Stepanchikovo” were not published until 1860. Notes from the House of the Dead was released in Russky Mir (Russian World) in September 1860. “The Insulted and the Injured” was published in the new Vremya (Time) magazine, which had been created with the help of funds from his brother’s cigarette factory. Notes from the Underground is a short novel. In this work, Dostoevsky attempts to justify the existence of individual freedom as a necessary part of humankind. He argues against the view that man is a creature of reason and that society can be organized in a way that guarantees the happiness of humans. He insists that humans desire freedom more than happiness, but he also sees that unchecked freedom is a destructive force, since there is no guarantee that humans will use freedom in a constructive way. Indeed, the evidence of history suggests that humans seek the destruction of others and of themselves. Dostoevsky became very popular as an author though he was always in dire financial conditions due to his gambling addiction. When the first two parts of ‘Crime and Punishment’ were published in the January and February 1866 issues of ‘The Russian Messenger’, the periodical saw an increase of at least 500 new subscribers. The Idiot was completed there in January 1869, the final part appearing in The Russian Messenger in February 1869. 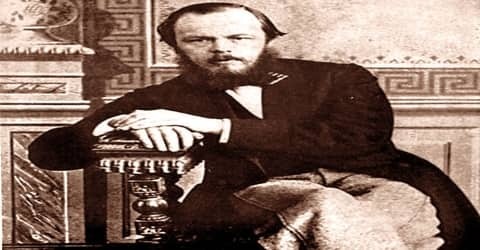 After hearing news that the socialist revolutionary group “People’s Vengeance” had murdered one of its own members, Ivan Ivanov, on 21st November 1869, Dostoevsky began writing Demons. In The Possessed Dostoevsky raises a minor event to great importance. Many readers see The Possessed not only as an accurate account of the politics of the time but also as a visionary statement on the future of politics in Russia and elsewhere. The Dostoevsky traveled in 1867 and remained away from Russia for more than four years. Their economic condition was very difficult, and Dostoevsky repeatedly lost what little money they had while gambling. The Idiot was written between 1867 and 1869, and Dostoevsky stated that in this work he intended to portray “the wholly beautiful man.” The hero of the novel is a good man who attempts to live in a society gone wrong, and it is uncertain whether he succeeds. In 1871, Dostoevsky and Anna traveled by train to Berlin. During the trip, he burnt several manuscripts, including those of The Idiot, because he was concerned about potential problems with customs. The family arrived in Saint Petersburg on 8 July, marking the end of a honeymoon (originally planned for three months) that had lasted over four years. Back in Russia in July 1871, the family was again in financial trouble and had to sell their remaining possessions. Along with his wife, Dostoevsky founded a publishing house, Dostoevsky Publishing Company, and published the novel ‘Demons’ in 1873. The book did well and sold around 3000 copies. 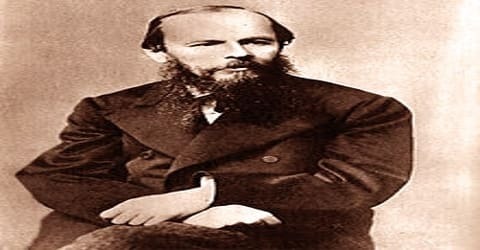 In March 1874, Dostoevsky left The Citizen because of the stressful work and interference from the Russian bureaucracy. In his fifteen months with The Citizen, he had been taken to court twice: on 11 June 1873 for citing the words of Prince Meshchersky without permission, and again on 23 March 1874. Dostoyevsky’s next novel, Besy (1872; The Possessed), earned him the permanent hatred of the radicals. Often regarded as the most brilliant political novel ever written, it interweaves two plots. The Brothers Karamazov (1879–1880) is the greatest of Dostoevsky’s novels. The psychologist Sigmund Freud (1856–1939) ranked it as one of the greatest artistic achievements of all time. The novel is about four sons and their guilt in the murder of their father, Fyodor. Each of the sons may be characterized by a major trait: Dmitri by passion, Ivan by reason, Alyosha by spirit, and Smerdyakov by everything that is ugly in human nature. Smerdyakov kills his father, but to a degree, the other three brothers are guilty in thought and desire. Dostoevsky finished The Adolescent at the end of 1875, although passages of it had been serialized in Notes of the Fatherland since January. The Adolescent chronicles the life of Arkady Dolgoruky, the illegitimate child of the landowner Versilov and a peasant mother. It deals primarily with the relationship between father and son, which became a frequent theme in Dostoevsky’s subsequent works. In 1873 Dostoyevsky assumed the editorship of the conservative journal Grazhdanin (“The Citizen”), where he published an irregular column entitled “Dnevnik pisatelya” (“The Diary of a Writer”). He left Grazhdanin to write Podrostok (1875; A Raw Youth, also known as The Adolescent), a relatively unsuccessful and diffuse novel describing a young man’s relations with his natural father. In early 1876, Dostoevsky continued work on his Diary. The book includes numerous essays and a few short stories about society, religion, politics, and ethics. The collection sold more than twice as many copies as his previous books. Dostoevsky received more letters from readers than ever before, and people of all ages and occupations visited him. Because Dostoyevsky was unable to maintain his aesthetic design for the Diary, its most famous sections are usually known from anthologies and so are separated from the context in which they were designed to fit. These sections include four of his best short stories – Krotkaya (“The Meek One”), Son smeshnogo cheloveka (“The Dream of a Ridiculous Man”), Malchik u Khrista na elke (“The Heavenly Christmas Tree”), and Bobok – as well as a number of autobiographical and semifictional sketches, including Muzhik Marey (“The Peasant Marey”), Stoletnaya (“A Hundred-Year-Old Woman”), and a satire, Spiritizm. Nechto o chertyakh Chrezychaynaya khitrost chertey, esli tolko eto cherti (“Spiritualism. Something about Devils. The Extraordinary Cleverness of Devils, If Only These Are Devils”). Dostoevsky was made the vice president of the Slavic Benevolent Society in 1880. 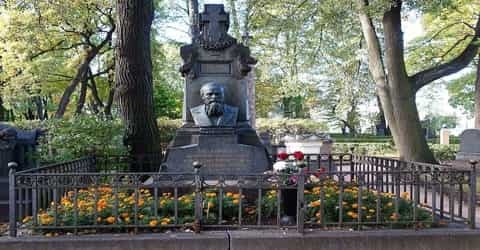 He gave a speech at the unveiling of the Pushkin memorial in Moscow that was so well received by the audience that even his longtime rival Turgenev embraced him. Konstantin Staniukovich praised the speech in his essay “The Pushkin Anniversary and Dostoevsky’s Speech” in The Business, writing that “the language of Dostoevsky’s (Pushkin Speech) really looks like a sermon. He speaks with the tone of a prophet. He makes a sermon like a pastor; it is very deep, sincere, and we understand that he wants to impress the emotions of his listeners.” The speech was criticized later by liberal political scientist Alexander Gradovsky, who thought that Dostoevsky idolized “the people”, and by conservative thinker Konstantin Leontiev, who, in his essay “On Universal Love”, compared the speech to French utopian socialism. The attacks led to a further deterioration in his health. His final novel ‘The Brothers Karamozov’ was completed in 1880 after nearly two years of writing. Dostoevsky died just a few months after its publication. ‘The Brothers Karamazov’, his longest ever work is considered to be his magnum opus. Set in the 19th century Russia, it tells the story of the three Karamazov brothers Alyosha, Ivan and Dmitri, and their struggles with moral issues like faith, doubt and reason. Dostoevsky was appointed an honorary member of the Russian Academy of Sciences, from which he received an honorary certificate in February 1879. The apartment where he wrote his first and final novels was converted into a Dostoevsky Museum in 1971. On 25 January 1881, while searching for members of the terrorist organization Narodnaya Volya (“The People’s Will”) who would soon assassinate Tsar Alexander II, the Tsar’s secret police executed a search warrant in the apartment of one of Dostoevsky’s neighbors. On the following day, Dostoevsky suffered a pulmonary hemorrhage and he died soon afterward, on January 28, 1881. He is considered one of the greatest novelists of the Golden Age of Russian literature, and his works have been translated into more than 170 languages. At the time of his death, he was at the height of his career in Russia, and many Russians mourned his death. He had begun to win praise in Europe as well, and interest in him has continued to increase.